ChinaTour.Net is the leading provider of China hotels, flights, tours and cruises services and the top 10 tour operator in China, our company is based in Beijing, China, providing online Tour/Hotel/Flight/Train/Cruise reservation services through its website. 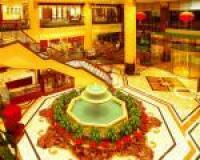 we offer travellers the widest selection and best discount rate of hotel/service apartment in major cities of China. We provide a one-stop shopping source for hotel rates, hotel locations, city map, hotel amenities, and customers' reviews. travellers can book hotel/rooms and city tours in the time, for him self or for his friends, this enable the most flexibility of travel style nowadays. ChinaTour.Net has integrated with all China airline companies system to offer air fair E-tickets booking, our customers benefit from our advanced system to check air fair discounts offered by various air companies, all integrated in our website for our customers to choose. As one of the top ten travel company in China. We receive about 50000 tourists every year from more than 70 countries in the world. Our guided tour services cover Beijing, Shanghai, Suzhou, Hangzhou, Guangzhou, Shenzhen, Xian, Guilin, Sichuan: Chengdu, Jiuzhaigou, Yunnan: Kunming, Lijiang, Shangri-La, Zhengzhou, Luoyang, Datong, Pingyao, Huangshan, Zhangjiajie, Guizhou, Tibet, Xinjiang: Silk Road , Inner Mongolia, Three Gorges, Xiamen, Harbin, Sanya, etc. Our professional tour service network cover most tourism destinations in China. We consistantly provide quality services for our customers coming to China. We offer more than 50 cruisers covering all the cruise itineraries on Yangtze River of China, the cruisers ranking from 3 star to 5 star, destinations cover Chongqing, Wuhan and Shanghai, we guarantee the lowest prices of all cruisers. Thousands of our customers wrote reviews for our services. Customers satisfaction is always our priority. When the internet become popular, we built up our website - ChinaTour.Net in 2003, starting direct online marketing via internet, we suggest our customers use internet as the most cost-effective way for their travels in China (following is tour service's marketing channels, you can see that internet is the most direct and save channel). Foreign travel agencies and hotels' tourist counter all use our tour services in China, for our good quality foreign language speaking tour guides and transfer services around China. Now online booking providing the most cost-effective way to customers, for example, Great Wall coach tour cost 160RMB p.p, but foreign agencies or local hotels need to add their own marketing cost and profits, so normally they sell to customers at 300RMB p.p or more; Now internet provide the most direct way for customers to book online directly with China tour serives, the price is always the original 160RMB p.p. 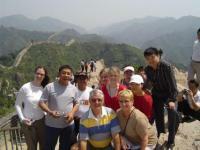 We also offer Group Discount for travel groups and corporate travel service in China. For corporate business trip or tour trip groups, we offer more beneficial discounted rate than the prices listed in the website. If you have a group more than 5~7 person, please Contact Us for details. ChinaTour.Net is owned and powered by Beijing Dragon-City Ltd, which is a China based company with global vision, has close relationship and agreements with thousands of hotels around China. Beijing Zilong City Ltd. also has leading technology in ecommerce and internet marketing.